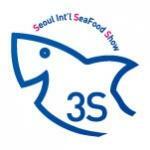 Seoul Int’l Seafood Show(3S) is the most representative and influential seafood exhibition in Korea. It has been held annually for 14 years and will be celebrating the 15th anniversary in 2019. You will be able to fulfill your business needs by experiencing newest, cutting-edge products and technologies of the seafood industry and communicating with key people in the seafood business.